According to Amnesty USA, “more than 30,000 men, women, and children are killed with guns each year in the United States.” Amnesty USA views the gun violence rampant in our country as an epidemic and a human rights crisis. 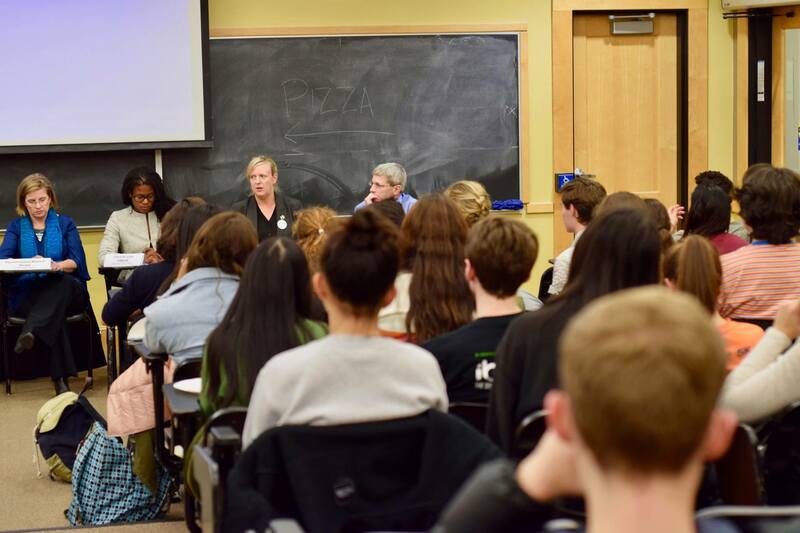 The panel consisted of five people with diverse experiences and perspectives regarding gun violence. The speakers included: Judi Richardson, whose daughter was a victim of gun violence; Representative Marjorie Decker of the 25th Middlesex District, who sponsored the successful Extreme Risk Protection Order bill, H.3610 (also knownas Massachusetts’“red flag” bill); Boston City Councilor Lydia Edwards of District 1; Zoe Grover, the Executive Director of Stop Handgun Violence, a local nonprofit which “works to prevent firearm violence through public awareness, education, policy advocacy and law enforcement strategies –without banning guns”; and Professor Michael Siegel of the Community Health Sciences Department at Boston University. Panelists explained their connections to the issue of gun violence, then Jaya Khetarpal, president of Tufts Democrats and moderator of the event, posed several questions to the panelists, broaching topics such as the lack of national implementation of common sense gun reform, the reasons why gun violence is an epidemic in the US but not in all other countries, and the media’s focus on mass shootings (as opposed to other forms of gun violence). The panel concluded with various opportunities to take action. For example, Zoe Grover of Stop Handgun Violence brought advocacy toolkits for attendants to read and learn from, and computers were available so participants could sign an Amnesty International petition about gun violence which would be sent to representatives, senators, and President Trump.